The kitchen is undoubtedly one of the most important rooms in the house. It's not simply a place where we cook meals or put together dishes for family and friends. It's where we create memories, bake cakes with our children, prepare romantic meals for our loved one or relax with a glass of wine while someone else does all the cooking for a change. 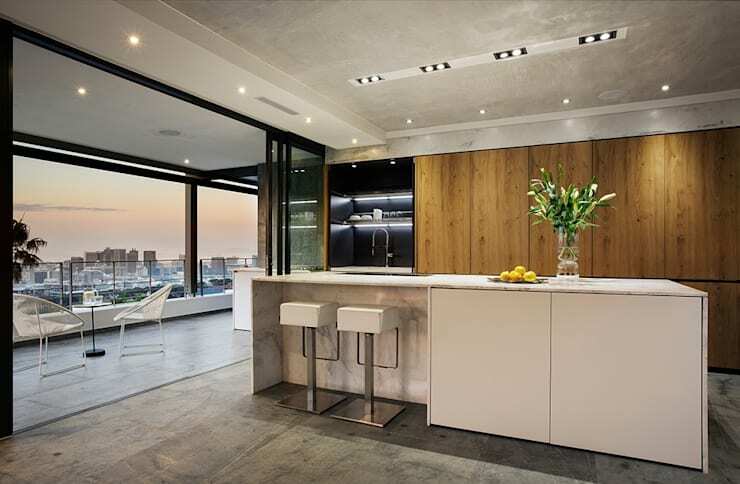 The only thing more inspiring than beautiful kitchens are beautiful South African kitchens. 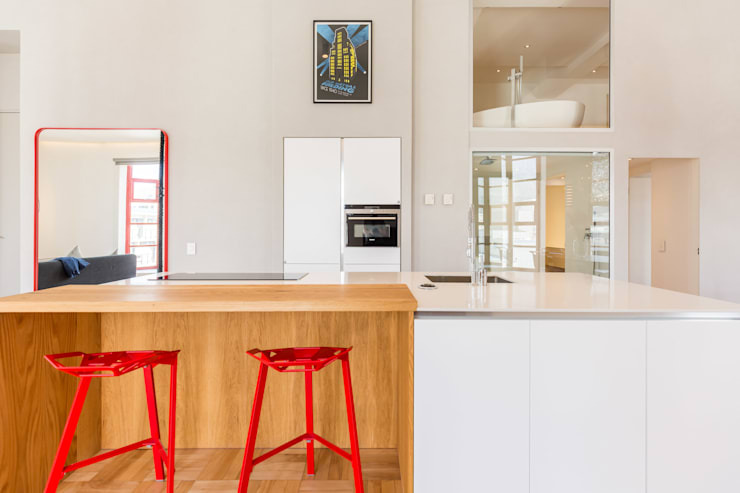 This is why today on homify, we've put together 11 clever kitchen ideas from South African homes. These will teach you a few tips and tricks when it comes to creating the ultimate kitchen, transforming it from a cooking area into the heart and soul of the home. 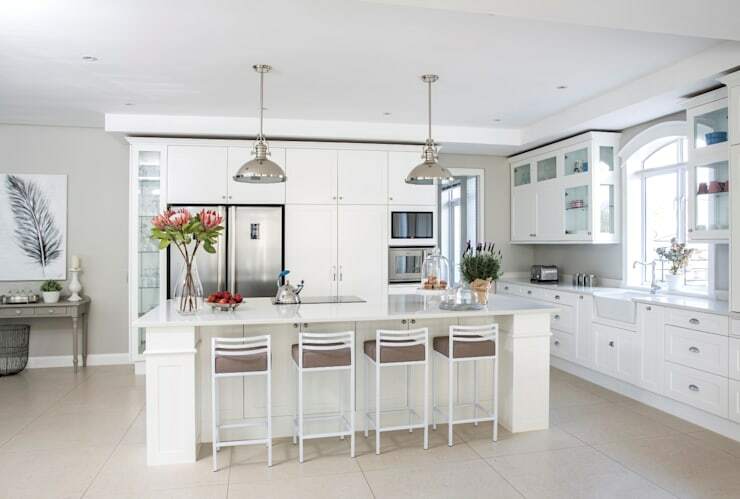 As we go through each one of these kitchens, you'll realise that South African homes are just as beautiful and appealing as international homes. South African professionals have hit the nail on the head with every single one of these kitchen designs. Neutral colours are often a great choice for a kitchen, creating a warm and homely space. However, you can afford to add a splash of vibrancy here and there. 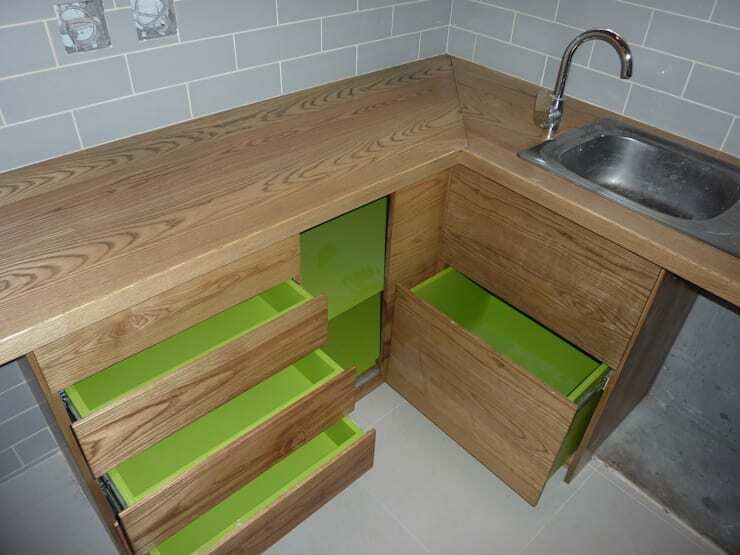 In this design, we come across lime green drawers and cupboards. The bright colour is revealed every time someone opens a drawer or a cupboard. It's bound to put a smile on your face every time you reach for an accessory! 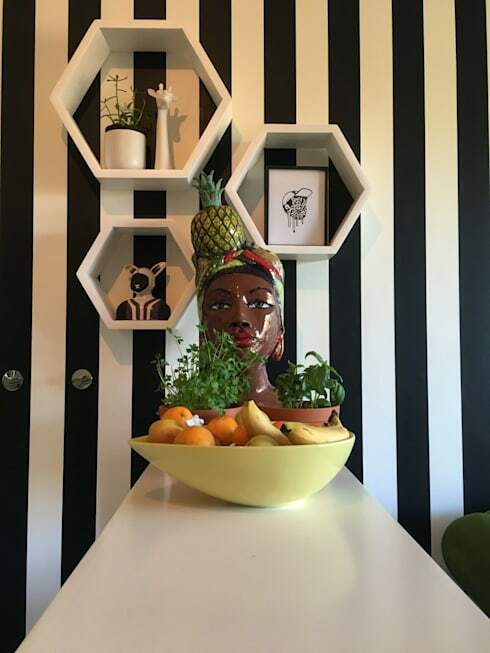 If you prefer a more charming, colourful or eclectic design, follow the lead of W Cubed Interior Design. They've created a design that is simply stunning, where yellow and green tones work in harmony with one another. The colours contrast beautifully with the purple and blue tones of the dining room as well as the sleek silver appliances. This is a kitchen you'd never want to leave! If you prefer a more sleek and clean cut design, then this pure white kitchen with black finishes is a great example. The designers have gone for minimalist precision, ensuring that only the most functional of items are on display. Do you see how natural light works with the tones to create a spacious and bright environment? 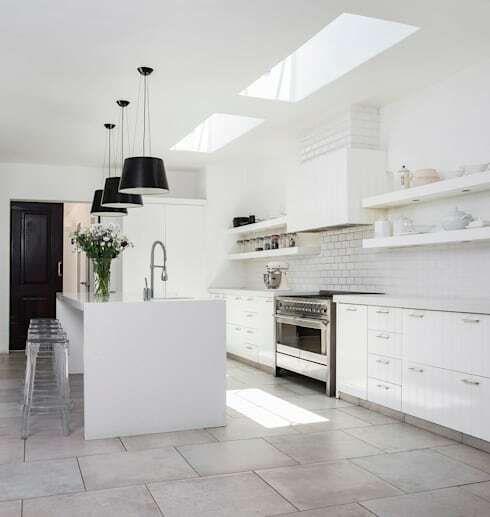 If you like the minimalist look and feel, have a look at this article too: Kool kitchens: 10 modern minimalist designs. In a neutral kitchen, bar stools can be a great way to introduce some character, colour and charm, like we see in this design. This is a great example of how effective a simple solution can be. The materials that make up your kitchen design can have a big impact on the look and feel. 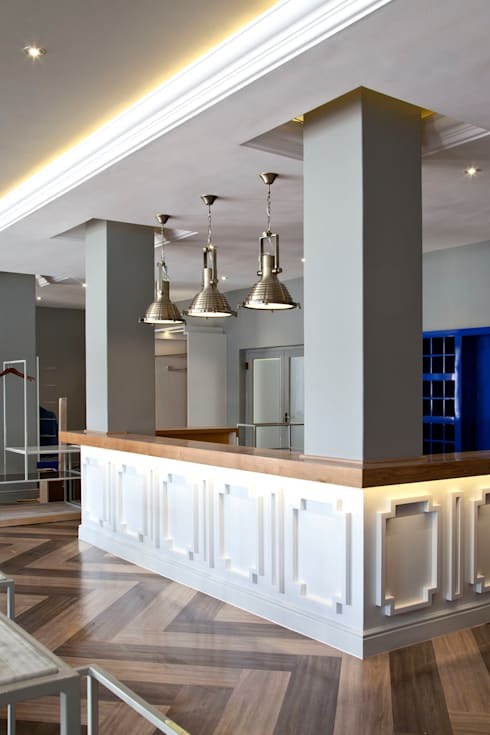 Choose quality materials that will last for years to come such as granite or marble. As we can see in this image, high quality materials make for a very elegant and sophisticated design. If you don't have a very large kitchen, don't worry! You can make the absolute most of space by opting for an L-shape design or installing shelves on the walls, utilising vertical storage. 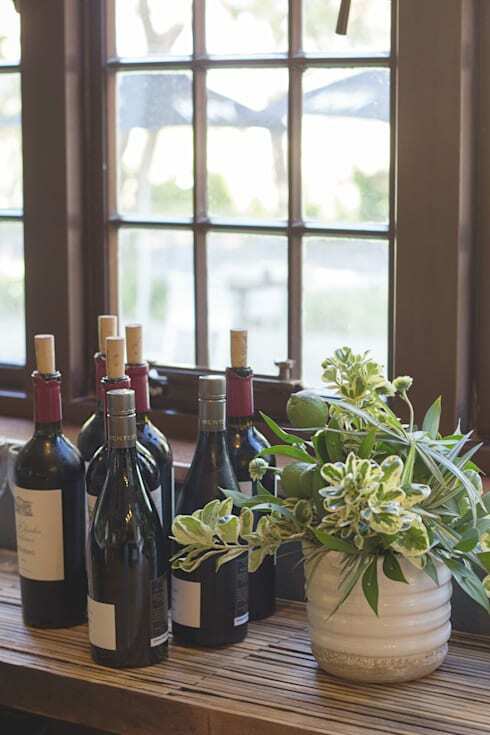 A simple way to liven up your kitchen and create a natural and refreshing touch is to add a fresh vase of flowers or a pot plant. You can also add a herb garden to your kitchen, which you can use whenever you cook! Your cooking area should inspire and delight, motivating you to cook new dishes and try new foods. 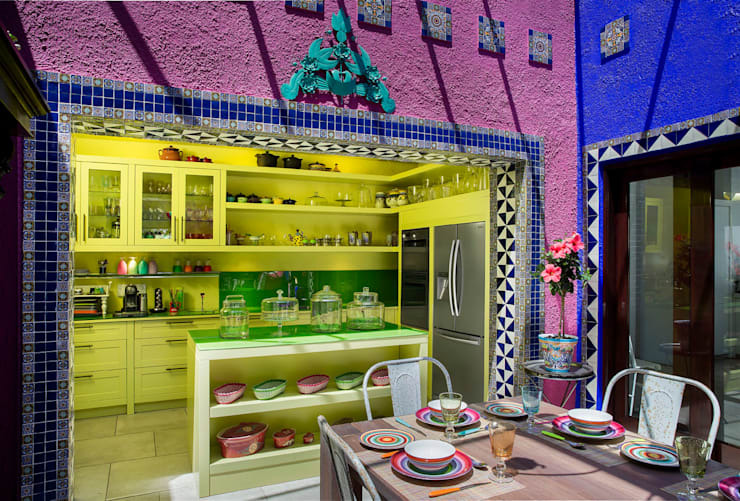 Don't be afraid to add funky decor, bold patterns and colourful designs to the kitchen to enhance this space with charm and personality. In many of the South African kitchens that we've explored, you would have noticed a kitchen island. They are very popular additions to modern homes, adding an extra surface area to the space. They also provide the kitchen with extra storage space. Bar stools can be added to a kitchen island, creating a more casual space for interacting or socialising. 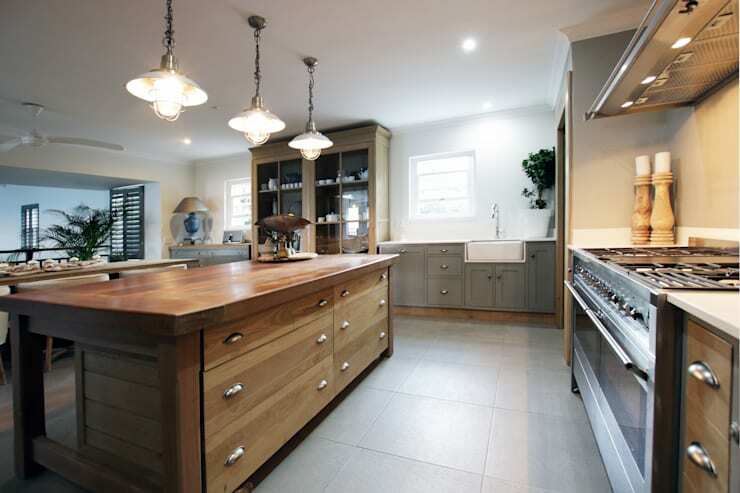 Lighting is a very necessary part of any kitchen design, ensuring that you can see what you are doing. It also creates a wonderful ambiance in this space. Why not merge functionality with style by using your lights to introduce some gorgeous touches to your cooking area? In this kitchen, we can see how the silver drop down lamps add an industrial chic touch to the modern bathroom. Wood is always a wonderful material and a great option. It's timeless and works in harmony with any style. Do you see how it creates a very warm and homely environment too? Also have a look at these 7 modern wooden kitchens you need to see before renovating yours! 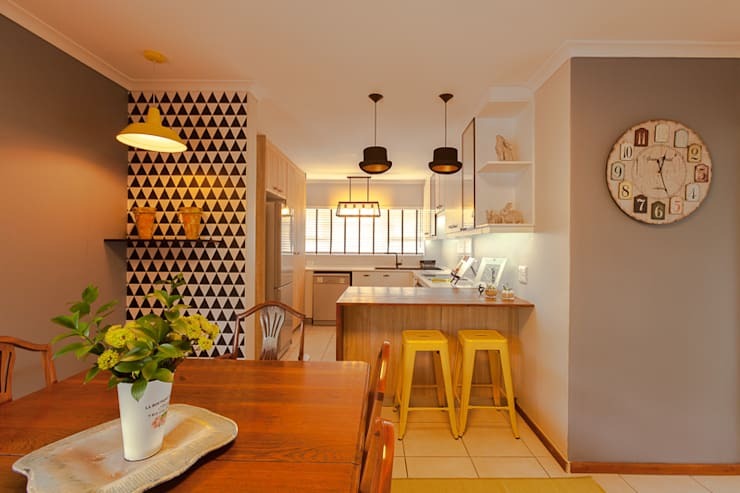 Which is your favourite SA kitchen?